Each year, the York County Economic Alliance Annual Dinner celebrates local achievements in the world of business. 2019 will bring a lively, refreshed vibe to the traditions of the evening by shining a spotlight on York's local talent. A variety of local artists, musicians, and performers of all genres will be featured throughout the course of the evening. Central City Orchestra, led by Katie Robinette will be the feature entertainment and coordination of talent. 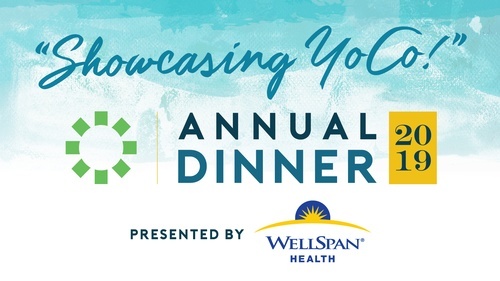 Sponsored by WellSpan Health, a variety of local artists, musicians, and performers of all genres will be featured throughout the course of the evening. Central City Orchestra, led by Katie Robinette will be the feature entertainment and coordination of talent. We are also excited to announce that the event will be emceed by Rick Ayers from WellSpan Health. Community Courier / Engle Printing & Publishing Co. Parking: Please use the ballroom parking lot and entrance.